G’Day from Downunder! 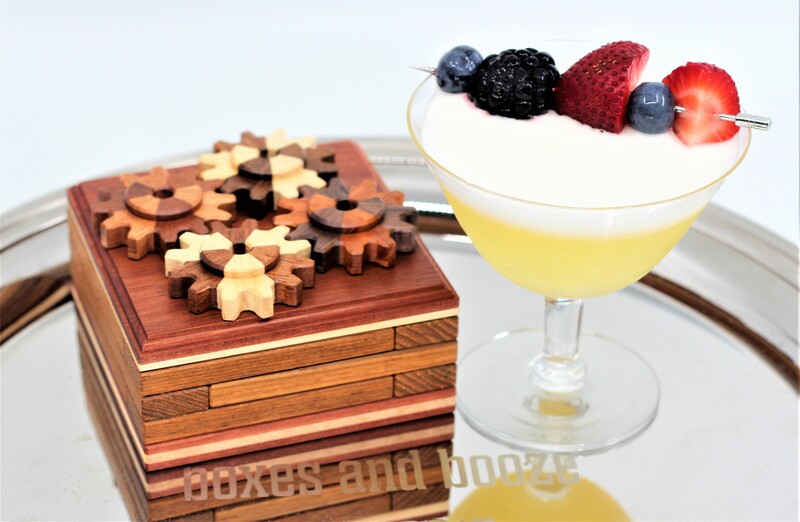 The Australian gears were spinning when I paired a potion to toast the “Quartet Box” by Australian artist Juno Yananose. I immediately thought of the classic four equal parts cocktail, the Last Word. 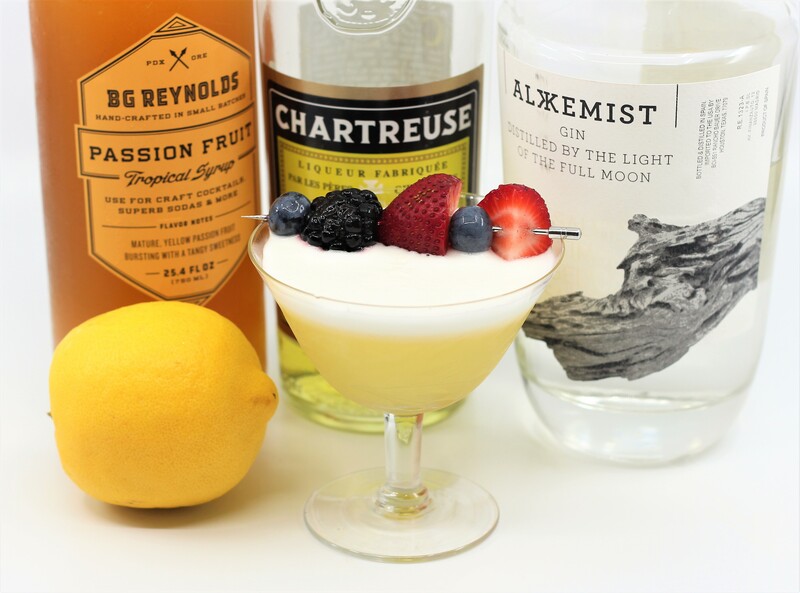 It’s a cocktail that begs to be played with and modified – there are literally hundreds of variations out there. The original dates back to 1920’s at the Detroit Athletic Club, where a local bartender created and named it after a popular vaudeville comedian famous for his long show ending monologues. It was resurrected in 2005 when Seattle based bartender Murray Stenson put it on the menu, and it became an instant hit, all over again. I’ve created many variations on these pages in the past, and here’s one more, and it won’t be the last … word. The original calls for equal parts of gin, lime juice, green Chartreuse and Maraschino liqueur. It’s a sophisticated sipper and worth a try if you have not. For this Aussie variation I’ve taken a few of the flavors from the famous Australian dessert, the Pavlova, and mixed them into the glass. The Pavlova also has its roots back in the 1920’s, when it was created in honor of the famous Russian ballerina, Anna Pavlova, during her tour of Australia and New Zealand. The dessert is a light and delicious meringue cake topped with whipped cream and fresh fruit such as passionfruit, kiwi and berries. For the cocktail, I’ve exchanged the cherry liqueur for a passionfruit syrup, switched lime for lemon juice, switched to yellow Chartreuse, and finally added some egg white for the meringue. Shake one up if you’re down – under – or if you’re anywhere, actually, and want something delicious to drink. It’s the last word in Aussie cocktails. Cheers! Shake together without ice to froth then briefly with ice to chill. 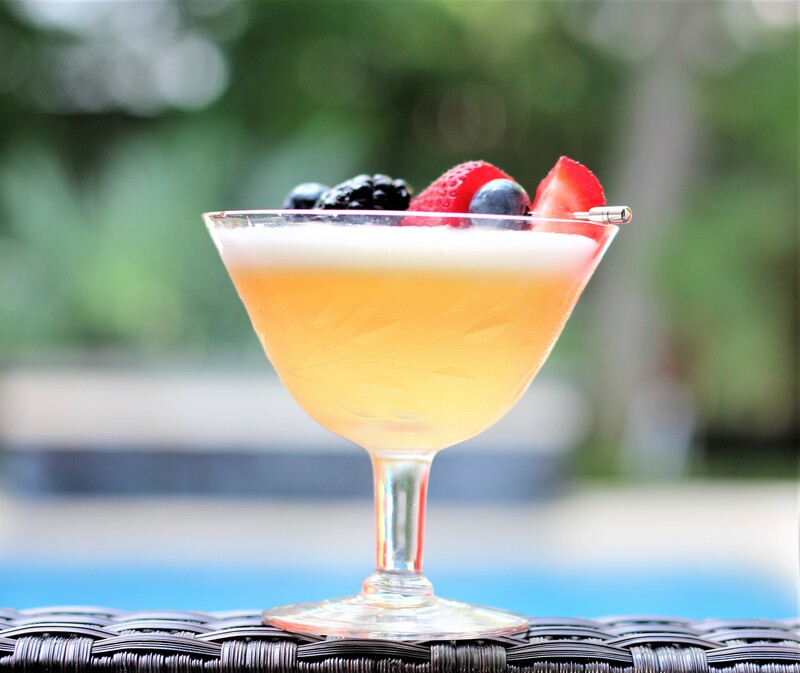 Double strain into a favorite glass and garnish with fresh fruit. Or Vegemite, I suppose.